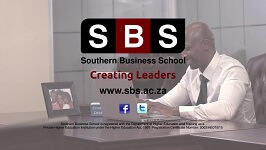 The Centre for Management and Leadership Development (CMLD) is an organisational unit within Southern Business School. Southern Business School is registered with the Department of Higher Education and Training as a private higher distance education institution under the Higher Education Act, 1997, Registration Certificate Number 2002/HE07/015. This certificate number can be used by private and public institutions to claim back their skills levies from the relevant SETA, such as the LGSETA, when they organise training for their employees. 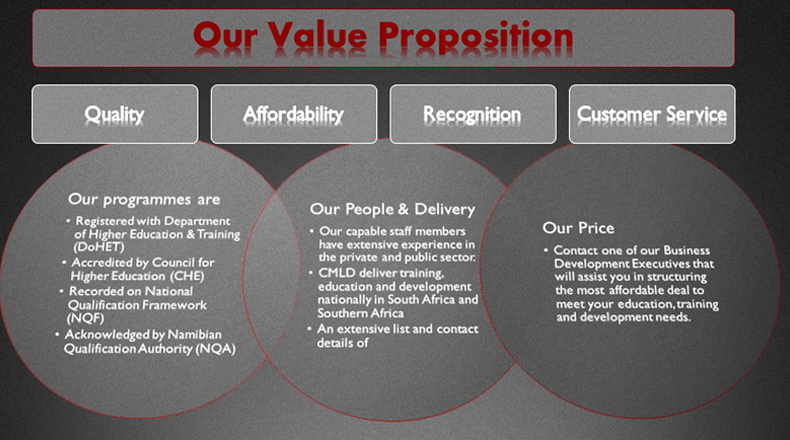 Although the Centre for Management and Leadership Development offices are in Gauteng (Krugersdorp area), it operates nationally and is geared to deliver training (short courses and Management Development Programmes) in other parts of the continent, as we already do.